We have finally made it! The “unofficial start of Summer” is finally upon us with the upcoming Memorial Day Weekend! ‘Tis the Season for Mojitos, Beers on Boats, Sunscreen, Flip Flops and everything great about this fabulous time of year! S’well Bottles: So many choices, two great sizes (the largest fits a full bottle of wine!) and keeps beverages cool or hot for a full 24 hours! Tory Burch Flip Flops: Great as a Summer commuting shoe, Dancing Shoe at a wedding, and always chic with sunglasses! Lilly Pulitzer Beach Tote Bag in “Underwater Escape”- perfect size for a day at the Beach, to fill for an overnight, or to change from work to outdoor cocktails! 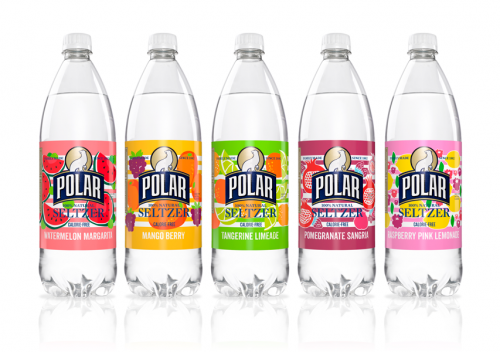 Polar Seltzer Summer Editions, 2016 might be the best batch yet, with flavors including Watermelon Margarita, Mango Berry, Tangerine Limeade, Pomegranate Sangria, and my personal favorite, Raspberry Pink Lemonade! Serve with Frozen Fruit for an extra burst of flavor, or, even better-with your favorite Vodka or White Rum! Last but not least, what is Summer without Ice Cream, and what is Ice Cream without Stonewall Kitchen’s Sea Salt Caramel!